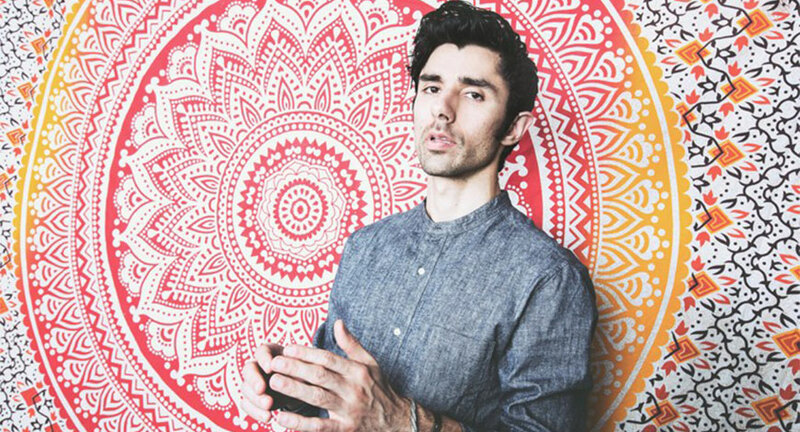 With the festive season fast approaching, Indo-American DJ, record producer from California - Kshmr is gearing up for his maiden tour in his homeland this year. The tour begins in New Delhi, and stops at Chennai, Kolkata, Bengaluru, Hyderabad and Mumbai. Jai Wolf joins the tour as support and there will be surprise guests along the way. The nationwide tour covering 6 cities in 10 days is promoted by Percept Live and aspires to be a hallmark for auditory exploration transcending borders. Kshmr will donate proceeds of his New Delhi event titled “Karma” (drawing inspiration from the law of the providence) to charitable institution, Child Rights And You (CRY) that propagates the welfare of underprivileged children. The opening acts include the likes of Anish Sood, Nucleya, Shaan, Teri Miko, Ocientied, Mariana Bo, Kumail, The Unknown, Mr. Bose & Akash, Zenith & Hasit Nanda. Karma aims to go beyond a Kshmr DJ set, and fans attending the show on October 20th will be taken on quite a journey, with Kshmr Live - an orchestral experience. Hasit Nanda, Nucleya and Anish Sood will also join this event. Tour aside, the DJ producer will be dropping his brand new single, Underwater featuring the Indian musician Sonu Nigam. Sonu Nigam adds on, “Working with Niles has been such an enjoyable and effortless journey. I have always wanted to explore a collaboration with an international artist who imbibes homogenous sensibilities into his music and I found a perfect fit with Niles. And Niles is also blessed with a heart of gold that makes working with him a blissful experience. Looking forward to many more collaborations with him." Kshmr has worked with some of the leading names in the business – Far East Movement, Enrique Iglesias, Robin Thicke, Selena Gomez, R3hab, Tiësto, Carnage, DVBBS, Borgeous, Dimitri Vegas Like Mike and Bassjackers to name a few. With tracks including Secrets, Bazaar, and Megalodon. Kshmr’s latest endeavor is his own record label Dharma, which aims to serve as a platform to showcase the global talent in the world of electronic music, including Kshmr’s latest EP Materia featuring Snails, Maurice West, Mariana Bo and more.